I had originally planned this storytime for National Library Week, but the daycare was closed for Good Friday, so I saved it to kick off Summer Reading and promote going to the library. 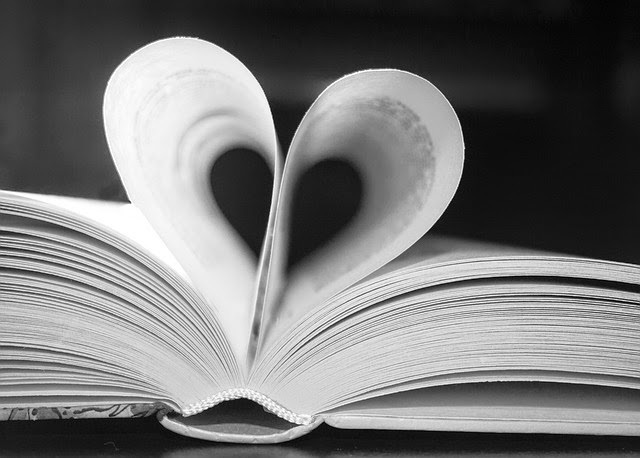 The story is simple and straightforward, and talks about returning books, checking out more books, storytime, and how children don't get "shushed" in the children's department. (I changed some of the words slightly to fit the way my library does things.) When it mentions Lola singing "Twinkle, Twinkle Little Star" we paused to sing it as well. The illustrations are sweet and colorful. 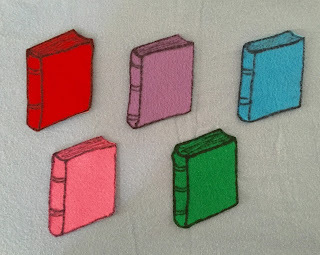 We followed that with a short little rhyme about "Five Little Books" being checked out of the library from What Happens In Storytime, but I made my felt books a little differently. First we counted the books, then identified the colors, then did the rhyme. Instead of specific names, I inserted things like "a little girl", "a little boy", "Mommy", "Daddy", and "a teacher", because I didn't want anyone left out, but I didn't really feel like repeating it 3 or 4 times to use all their names, either. 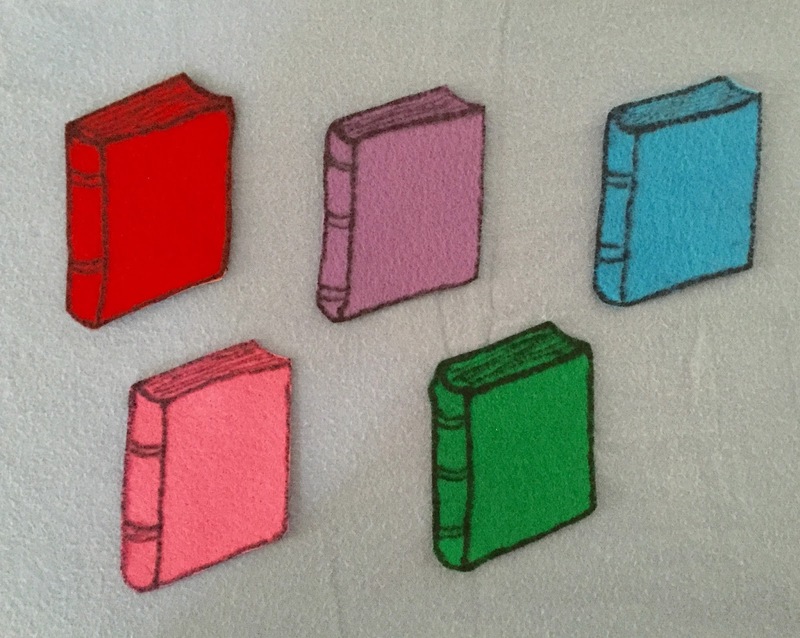 Five little books as great as can be. and checked one out to read. 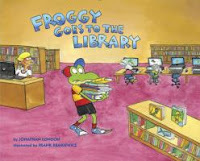 Our second book stars one of my favorite characters, Froggy Goes to the Library by Jonathan London and Frank Remkiewicz. Froggy enjoys going to the library as well, but in his excitment he almost forgets to get dressed and eat breakfast. Then, once they are at the library, Froggy lets his imagination get the best of him! But then he settles down for storytime, and gets everyone, including the librarian, to join him in a silly song and dance. I was thinking I'd probably just read two books today because they've been more restless lately and Froggy was a little longer. 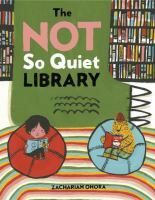 But, it was a smaller group than usual and they were doing really well and really wanted another story, so I went ahead and read The Not So Quiet Library by Zachariaa OHora. In this story, Oskar and Theodore go to the library with their dad, after stopping by the dougnut shop for breakfast. They are reading quiety, when a many-headed monster suddenly appears, with a taste for books. Can Oskar and Theodore convince the monster that books are not for eating? And neither are Oskar and Theodore! After that, I talked more about the summer reading program, showing them the classrom log and explaining that all they have to do is check the boxes every time they read 20 minutes or visit the library, then at the end of the summer when they've checked 30 boxes I will bring each of them a book to keep, plus extra books for the classroom. Then I showed them the calendars I brought for each one of them to take home that describes all the cool events going on all summer. Then, we sang our closing song and passed out stickers. It was nice having a slightly smaller group; they always do a better job listening when there aren't quite so many of them. They seemed to enjoy all the stories, particularly The Not So Quiet Library. I'm always happy to see how horrified they are when characters mistreat books in our stories. They had to sing Twinkle, Twinkle as soon as it was mentioned in the Lola book, and loved doing Froggy's song and dance. 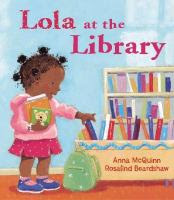 As soon as I held up the Lola book, two little girls said, "She looks like me!" Even though the "Five Little Books" rhyme was so simple, they really liked it and wanted to do it again. They were particularly eager for more stories today. They were very excited when I told them they would each get a book to keep at the end of the summer reading program; I saw many little faces light up and mouth's in the shape of an "O", and one boy said he wanted one about dinosaurs. I told him I couldn't promise that, but we would see.